The glamor of jet age (most recently recounted in this new book) has long faded. Today’s airliners don’t go any faster than early 707s. If anything, total journey time has increased, what with security requirements, delays, and hub-and-spoke systems. But a worldwide revolution in how air traffic is managed, both in the cockpit and from the ground, is well underway. Performance Based Navigation (PBN), based on several technologies and encompassing many significant changes in how airplanes get from A to B, is already delivering benefits. In the near future, it can support additional savings in fuel, reductions in emissions, and more efficient use of the world’s airspace and airports. The latest Global PBN Summit, held October 19-20 in Seattle, showcased the technology. Leave aside myriad initialisms and acronyms for a moment and consider the following side from the presentation by a captain from Air New Zealand. 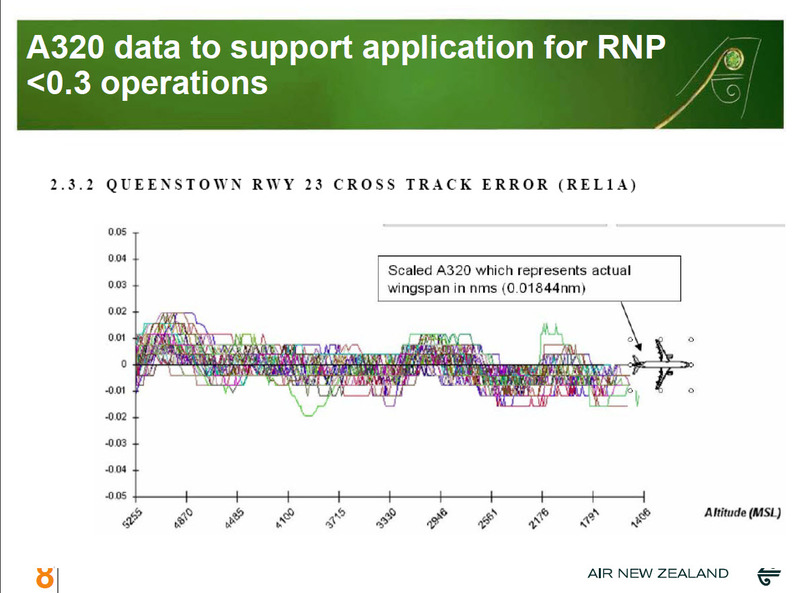 It shows track data from 15 months of flights into Queenstown, an airport surrounded by mountains that make traditional instrument approaches difficult or impossible. The Airbus jets that utilize the latest technology flew new approaches in all types of weather over that period, and they never strayed from the intended path by much more than the width of their own wingspan. Case studies from other airlines offered similar data that showed the effectiveness of navigation systems and autopilots that use data primarily from GPS to guide airplanes along safe, efficient routes, even in areas where terrain, obstructions, open water, and restricted or crowded airspace limit the availability of ground-based navigation aids and conventional approach systems such as an Instrument Landing System (ILS). Most of us are familiar with satellite-based navigation. 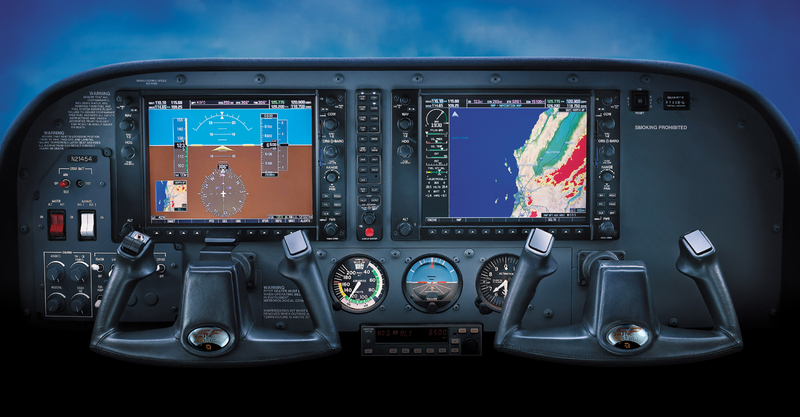 Today, most small personal aircraft use some form of GPS to help them navigate, and almost all new aircraft are equipped with “glass cockpits” such as the Garmin G1000 system. Of course, new technology alone doesn’t address or solve all of the problems plaguing the air transportation system. Many presentations at the conference emphasized that altering and increasing the flow of air traffic presents a whole range of new problems, especially noise. Ultimately, the widespread adoption of PBN depends mostly on dealing with such non-technical issues. I flew the Extra 300L from Boeing Field (KBFI) in Seattle to its winter home at Boulder City, NV (KBVU) on September 29. It’s now in the desert for the winter. 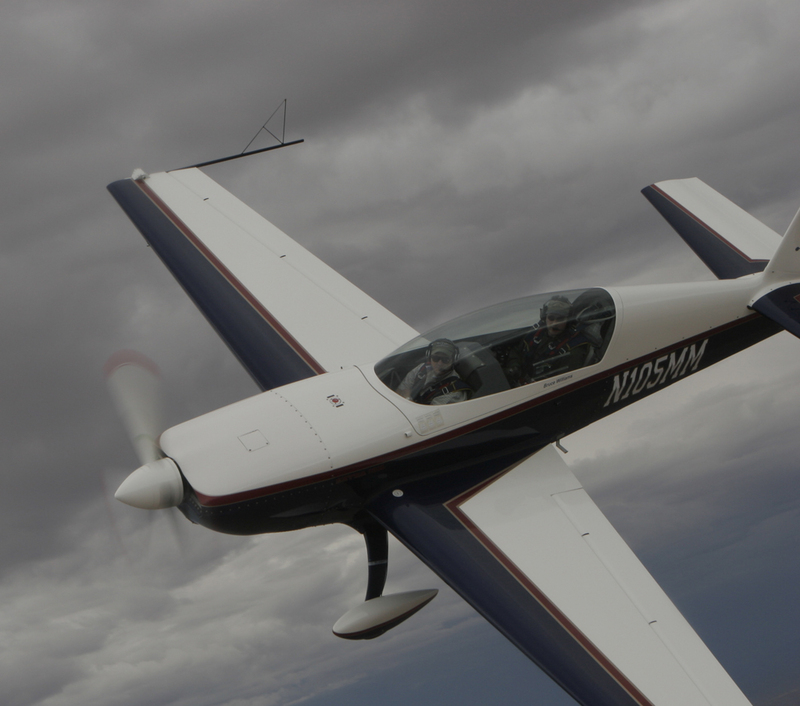 I’ll bring it back to Seattle in May 2011 for another season of aerobatic rides and stall/spin/upset training. The trip south via KBDN and KRTS was easy–mostly clear skies with light winds, and, thankfully, no turbulence. To see the GPS track in Google Earth, open this .kmz file. Here’s a picture snapped the other day during a formation practice flight near Boulder City (YouTube video here; gallery of photos taken from the lead aircraft here).